'; pwHTML += '	 A. 단어, 퍼즐, 받아쓰기, 단문, 속청, 평가학습등의 학습을 위해 프로그램을 설치 합니다. '; pwHTML += '	B. 다운로드를 클릭 후 프로그램을 다운로드받습니다. '; pwHTML += '	C. 다운로드 완료 후 \'실행\' 을 클릭하여 설치를 시작합니다. Jane Goodall is the most famous chimpanzee expert in the world. She is also an environmental activist. She founded Roots and Shoots, a youth service program which aims to show respect and compassion for all living things. 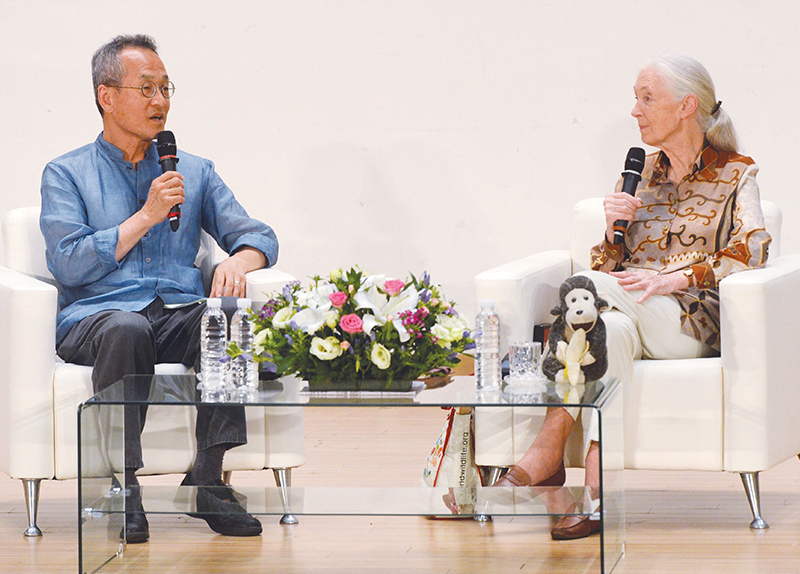 Last month, the 83-year-old British primatologist visited Korea. On August 10, she was at the National Assembly Meeting Hall for an event titled “Eco Talks” where she sat down for a Q&A session with Professor Choi Jae-cheon of the Ewha Womans University. On August 12, she went to Gangwon Province to receive the Manhae Award. 1. Who is Jane Goodall? 2. 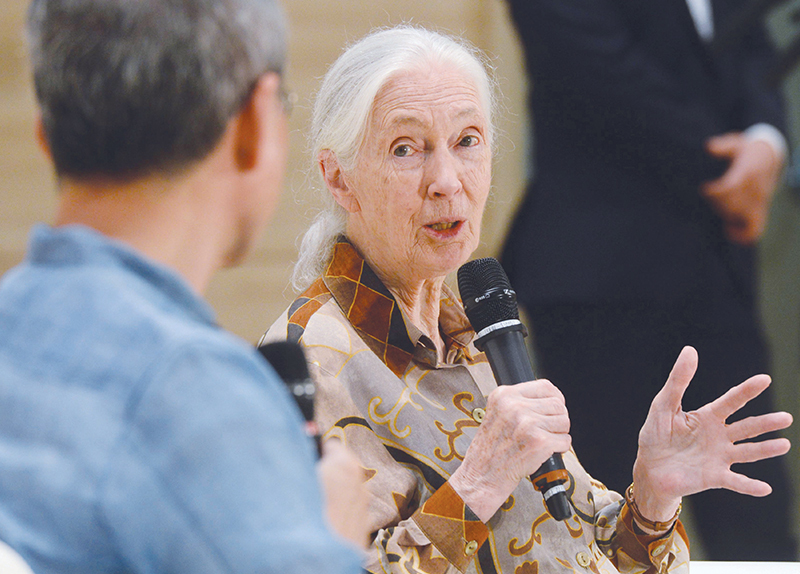 When did Jane Goodall go to Gangwon Province? 1. What is Roots and Shoots? 2. Are animals smart? What animals are smart? Why?